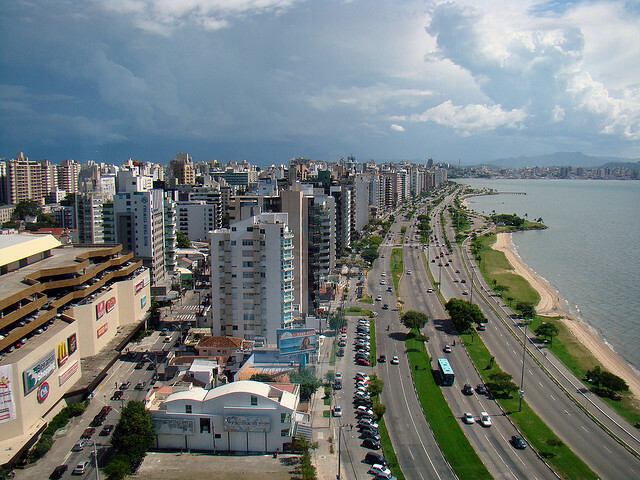 One of the key trends in the Latin American startup scene in 2011 was the emergence of regional tech hubs. This is also true in Brazil, where startups born outside of Sao Paulo show global ambitions. Created in Florianopolis, the social recommendation engine Myreks is one more proof of it; according to its CEO Bruno Malhado, the young startup is about to launch operations in the US. Backed by Fundo SC since last month, Myreks was the first startup to join the portfolio of this new fund, which is dedicated to investing in companies from Brazil’s Southern state of Santa Catarina (SC). While Fundo SC itself is fairly new, it is the result of a partnership between two well-known players in Brazil’s small VC community – the Florianopolis-based BZPlan, which manages the fund, and FIR Capital, which is now part of DFJ‘s global network. Backed by local institutions and companies, it plans to invest US$7m (R$12m) in its initial phase, the local blog TI Santa Catarina reports. According to Malhado, the fund was a great fit for Myreks; while having a local presence and a good understanding of early stage companies, it also offered a connection with the US through DFJ. This global mindset was important for Myreks; although the company and its CEO will remain based in Brazil, it also ambitions to operate in Europe and in the US, where it has recently hired a business development manager in charge of closing local partnerships. Despite its international expansion and its interest in e-commerce, Myreks is still very much an early stage company. “We’re gathering feedback,” Malhado explains. At the moment, Myreks is only available as a Facebook app, although its web version and mobile app are already in the works. Besides its CEO, Myreks’ team currently includes three developers, one administrator and one designer, with plans to hire a marketing and a business development executive. All of them are currently working from a local incubator called CELTA, which Myreks joined in December. While the company is new, one could argue that it started as early as 2008, Malhado says. At the time, it was an internal project within a Brazilian IT company called Suntech, where he was in charge of developing new products. Three pivots later, the team realized Myreks deserved to be a spin-off of Suntech, and went their own way. According to Malhado, they knew Myreks would need VC funding to manage to operate globally. While Fundo SC gave the young company what it was looking for, this is just a start from the fund’s perspective. According to its manager José Henrique Moreira, other investments are being analyzed and submitted to the investors’ deliberations. “There is space to prospect for new innovative businesses, as well as for attracting new investors for the fund,” he added.